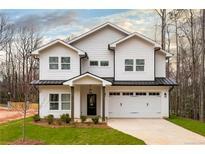 Find Matthews, NC New Homes for sale. View Photos, Maps and MLS Data Now! This house has all the upgrades! MLS#3494413. Keller Williams South Park. Upstairs your family and guests will enjoy an adorable, spacious bonus retreat. Come by and visit today! MLS#3486575. David Weekley Homes. Upstairs your family and guests will enjoy an adorable, spacious bonus retreat. Come by and visit today! MLS#3486119. David Weekley Homes. Please visit our website at www.liveatwalden.com for additional floor plans and information about the community. MLS#3483099. Better Homes and Gardens Real Estate Paracle. Please visit our website at www.liveatwalden.com for additional floor plans and information about the community. MLS#3482325. Better Homes and Gardens Real Estate Paracle. Come see this gem for yourself! MLS#3481418. Better Homes and Gardens Real Estate Paracle. Backing up to Colonel Francis Beatty Park with Trail access. MLS#3477841. Shea Realty. Spacious covered terrace with wood-burning fireplace. 3-Car Garage! MLS#3479397. Carolina Home Buyers Realty. Come see this amazing house today! MLS#3472624. Better Homes and Gardens Real Estate Paracle. Upstairs your family and guests will enjoy an adorable, spacious bonus retreat. Come by and visit today! MLS#3468221. David Weekley Homes. collapsing door that leads to outdoor living area with fireplace that is covered and ideal for family gatherings; outdoor living also features pool. MLS#3469610. Paragon Homes Realty NC LLC. The Modbury boasts ample storage on the first and second floors. MLS#3467458. David Weekley Homes. ** This home will receive no further discounts and is excluded from any advertised incentives** MLS#3467429. David Weekley Homes. This is low maintenance and high convenience at its best. MLS#3464532. David Weekley Homes. Selections are being made now by the builder/owner and will increase accordingly to builder selections. MLS#3461283. Better Homes and Gardens Real Estate Paracle. Selections are being made now by the builder/owner and will increase accordingly to builder selections. MLS#3460950. Better Homes and Gardens Real Estate Paracle. Please visit our website at www.liveatwalden.com for additional floor plans and information about the community. Come quick! Only 28 remain! MLS#3460934. Better Homes and Gardens Real Estate Paracle.